Our Kally pillow offers full body support, improving the quality of your sleep by relieving pressure from key joints. If you suffer from hip pain you will understand how hard it can be to get a good night’s sleep. Finding that perfect position to fall asleep in doesn’t have to be a struggle. 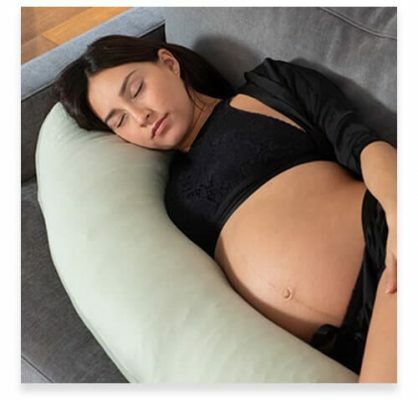 With the Kally Pillow, the optimum sleeping position is promoted, allowing you to relax and sleep soundly, aches and pains relieved. 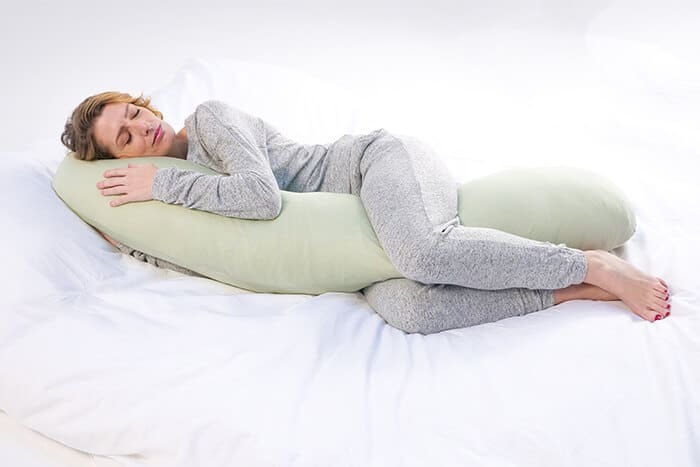 Ergonomically designed to relieve pain in the hip and pelvis, the Kally Pillow supports you throughout the night. By aligning this key area, you are removing pressure that makes nights uncomfortable and can impact your body throughout the day too. Dreamed up with the help of leading Harley Street doctors, we have crafted the sleep tool to solve your problems. The average person spends some 25 years of their life asleep. Our bodies go through a lot throughout our lives, so there is no need for unnecessary pressure and awkward twisting of the hips and pelvis as we sleep. Why are you experiencing hip pain? Painful hips can point to a range of issues, from a basic strain or stress injury to a longer-term condition such as osteoarthritis. Pregnancy can also cause pelvic and hip discomfort, making sleep a challenge. Wherever your ache and whatever the cause, this can be a debilitating issue, reducing your mobility during the day and impacting your sleep at night. Issues with your hips can manifest as pain in the thigh, groin, outer hips and buttocks or joints, and you should always see a doctor if the problem persists. Kally sleep understand how important rest is for muscular or joint-related pain, and are determined to improve the quality of life of those suffering from this. Initial stiffness in hips and joints can be a red flag you shouldn’t ignore, but there are preventative measures you can take to look after these key areas in your body. Perhaps you are not experiencing pain at all, but it is never too early to look after your joints and promote a healthy sleeping posture. With a Kally Pillow comfortably placed between the knees and ankles during sleep, a more parallel position is encouraged for the hips. If you are a side sleeper, you will recognise the benefits of having your top leg elevated, and the instant relief this can bring. Opening up this area can optimise the comfort you feel as you doze off, reducing the stress that stands between you and your sleep. Side sleeping is a very healthy way to sleep, but lying this way without the right support can lead to pain or aggravate pre-existing injuries. With both your knees weighted to the bed, your hips will be strained and pulled one way as they twist into this position. Placing a pillow between the knees and ankles cradles you, making you feel weightless while reducing the risk of sleep-related injury. Your knees and hip joints sit more parallel and you are ready to sleep in a naturally aligned, deeply comfortable position. 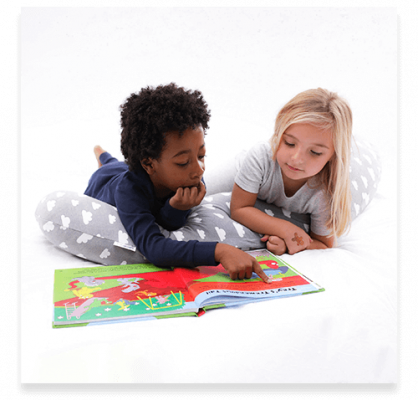 Why choose the Kally Pillow for hip support? Placing a support or pillow between the knees is recommended by osteopaths and doctors to soothe hip pain. Perhaps you already are using a regular pillow in this way to offer relief; Here at Kally Sleep, we have developed the perfect sleep aid for your aches and pains. Why settle for less when we have worked with leading professionals to create an ergonomic, full-body pillow? Upgrading from awkward pillows to one that has been lovingly designed with you in mind will do the job like no other. Choosing Kally Sleep will not just offer relief to your hip pain. 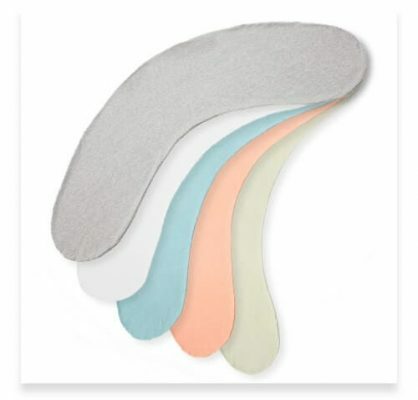 Full body support is offered by the Kally Pillow, so whilst you are supporting trouble zones such as the pelvis and hips, you are also offering total support for the spine, neck and key joints. Improving your sleep is our priority, but you don’t have to take our word for it. You can start getting better sleep with a 14-night trial of our Kally Pillow to see how it will work for you. Order now and tonight could be the last night you sleep in discomfort.